Tubulin Beta 3 antibody LS-C18217 is an unconjugated mouse monoclonal antibody to Tubulin Beta 3 (TUBB3) from human, mouse, rat and other species. Validated for IHC and WB. 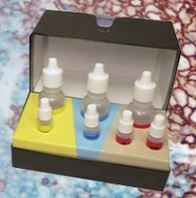 Suitable for use in Western Blot, Immunohistochemistry. Immunohistochemistry: frozen and paraffin. paraffin sections require pretreatment by trypsin or pronase.